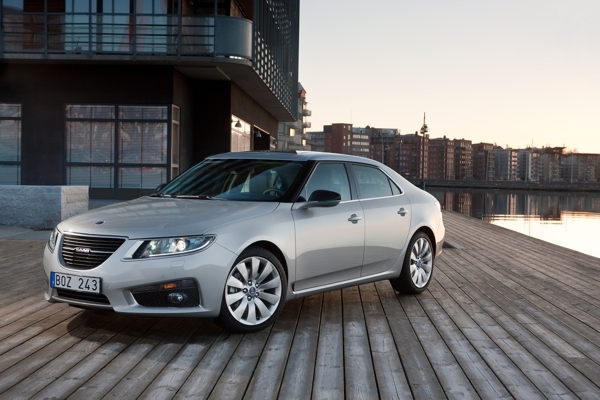 The Saab 9-5 is considered one of the most beautiful sedans on the market. His design is Scandinavian, timeless, typical of Saab. Many fans are considering buying a luxury Trollhättan sedan. We had repeatedly written about the qualities of the 9-5 II, safety, ergonomics, appearance. Since the 19. December, there are some questions about service and spare parts, especially for the 9-5, which we want to answer. The spare parts supply for the new 9-5 was never really critical. Resourceful, dedicated dealers grabbed in an emergency times briefly on the GM shelf. Meanwhile, the situation in Nyköping has stabilized, so that the situation has eased from week to week. A problem that has been published and discussed in several forums is programming and diagnostics for the Saab 9-5. The big Swede belongs to a generation of vehicles where both are only possible online. The server systems and the helpdesk for this are in Trollhättan. Saab Parts AB has taken over staff and infrastructure, which did not move systems to Nyköping. An indication that Saab continues to internally plan with the site Trollhättan. Programming and diagnostics are easily possible at the Saab Partner, and it will remain so in the future. Saab lost its OEM status to GM through December's bankruptcy filing. It is unlikely that a buyer will receive licenses from Detroit again. The spare parts production licenses can be transferred to Saab Parts AB, and body parts manufacturing tools are used to produce spare parts. The missing factory warranty is covered by Grantieversicherungen, which is individually designed according to the Saab partner. Saab itself is working on a warranty solution for the German market. Hirsch Performance continues to offer solutions for enhancing performance and customizing the interior. That too will stay that way. The Saab 9-5 was, as we all know, only produced in small quantities. The numbers speak of less than 12.000 9-5 of the second series. Nevertheless, the 9-5 is an unusually reliable, solid car. For some dealers, the first 9-5 reaches mileage at the 100.000 kilometers. Except for the scheduled inspections, the cars do not see a workshop. From the manufacturer there were only two insignificant service campaigns for the 9-5. We certainly will not see any new big Saab run off the tapes in the next 36 months. If there is a buyer for Saab, then the small series have priority. The prices for new or almost new Saab 9-5 are favorable. Apart from some panic sales, the market is stable. The offer is manageable and will remain so. This makes the 9-5 a stable value proposition. Relatively many interested parties meet with few available cars. The Saab 9-5 is a decision where meanwhile heart and mind are in harmony. The supply from Sweden is on a regular level, the server systems continue in the long term. If you find a suitable Saab 9-5, you should buy it. The offer will not be richer, prices will not go down. Individuality, safety and design at a manageable price. Now is the chance. 9 thoughts too "SAAB Kaufberatung: Updates to the Saab 9-5"
So even body parts would be available. After all, it's just the parts such as the body, headlights, ... which are not identical with other GM products due to their design, making them harder to obtain. I'm already watching the market for the 9-5II after the 9-4x is not coming. But I have 2 problems actually I do not need a new Saab at the moment, and if there is a diesel with automatic and all-wheel in the specification. Well, I'll keep watching. In any case, it is now clear to me why the prices are so stable after all. Also the new 9-5 is great. Last year, a 9-5 AERO as a demonstration car still got hold, unfortunately without auxiliary heating. So far, I have not found a dealer who dares to install one, because no one knows how it can be controlled. Does anyone have any experience of you? have with my TTiD4 the same problem. Despite theoretically available Aufruestsatz for the Quick-Heat System, no one dares to really. Too bad that no one from the plant can comment here, in such cases, the dealers are unfortunately now on their own. It's a shame that this car is no longer on the market. Luckily I drove it at least for a weekend. I speak without exaggeration on my 9-5 II Turbo4 automatic of a nearly perfect car! I can only connect with that. After a little "deer cure" for the engine and a really great new dashboard in carbon leather of the same, I am looking forward every day to my new 9-5 Turbo 6 XWD. Almost I'm hoping for a snowy late winter, so our convertible must long endure in the garage and I can enjoy the snow and rain with the XWD. One downside for my 9-5er, not even my competent Haus und Hofgarage Hirsch, has until now been able to activate the Follow Home and Welcome function for the light. Has anyone had similar experiences? I have just purchased a 2011 9-5 II TTiD with all-wheel drive and drive sense. I am absolutely thrilled. I'm just saying. Upper class drive to the golf price. So far I have found no weaknesses or malfunctions. The highlight is the four-wheel drive system with Drive Sense. The best of 2 worlds. It combines sporty driving with comfort. A friend who appreciates rear-wheel drive praised the LG over the green clover. I have great melancholy and joy at the sight of this beautiful photo. It's a pity that this car is not built anymore. Any owner of any of these models can be proud. I agree with my opinion.